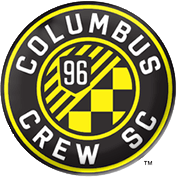 Sunday’s football game at MAPFRE Stadium pits together Columbus Crew and Portland Timbers, Columbus continue with thrilling performances at home ground and you should bear in mind that they are after their fourth consecutive win in front of home fans. Caleb Porter’s troops have been impressive at the back at the start of the season and we predict that they are going to rely on their rock-solid defence against Portland. The Timbers made a very slow start to the season, but it has to be noted that they played each of their first six league games on the road. Portland have collected only one point from possible 18 and seeing that Columbus Crew are a real force to be reckoned with at home, we predict that Caleb Porter’s troops are going to emerge triumphant in Sunday’s clash against Giovanni Savarese’s charges. Wil Trapp is an American footballer who plays for Columbus Crew in MLS as a midfielder. Born in Columbus, Ohio, Trapp played for Akron Zips during his college career and in 2013 he returned to his hometown club Columbus Crew. Over the years the 173-cm tall footballer has established himself as a first-team regular and thanks to his thrilling performances in the Major League Soccer, he earned a place in the USA national team. Wil Trapp made his USA debut on January 28, 2015 in a 3-2 loss to Chile. The Columbus man did well to wear captain’s armband in a friendly game against Bosnia and Herzegovina in January, 2018. Speaking of his club success, Trapp made it to the Eastern Conference play-offs with Columbus in 2015. His main position is defensive midfielder, but he is used as a centre midfielder as well. The American footballer graduated from Lincoln High School where he was named the 2010 NSCAA National High School Player of the Year. 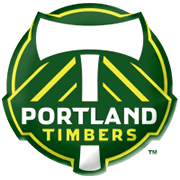 Founded in 2009, Portland Timbers is a soccer club based in Portland, Oregon. The Timbers are well known for their green kit and their secondary colours are red and black. Portland welcome their opponents at Providence Park and the capacity of their home ground is 21.144. 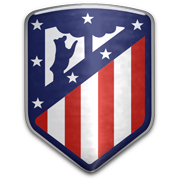 The club hold a long-running rivalry with Seattle Sounders as the two clubs used to face each other in the North American Soccer League. In 2015 Portland Timbers did remarkably well to win the MLS Cup and that is considered the club’s biggest success. The Timbers defeated Columbus Crew in the final of the tournament and it has to be noted that the title game was hosted by Mapfre Stadium (Columbus). Former Premier League footballer Liam Ridgewell played for Portland in the 2015 MLS Cup final against Columbus Crew. Speaking of the club’s supporters, you should have in mind that the Timbers sold out almost every home game in the MLS. Portland’s main supporters group is the Timbers Army.